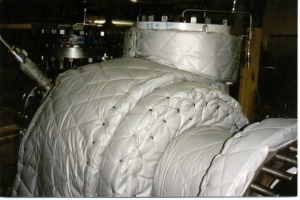 Petrin specializes in custom design, fabrication, and installation of removable and reusable insulation covers. Our covers are fabricated to provide ease of removal and replacement while minimizing heat loss and maximizing efficiency. 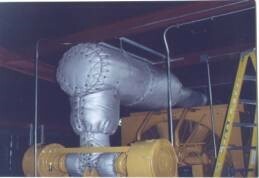 We custom fabricate insulation systems for all types of acoustical applications. 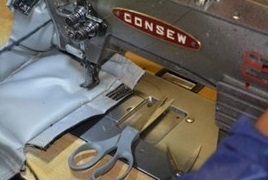 The outer layer is quilted fiberglass cloth to provide absorption of noise while the inside is layers of dense fiberglass insulation and a loaded vinyl septum. Petrin’s thermal covers provide a custom fabricated insulation system for freeze protection on all types of instrumentation, piping, valves, flanges, pumps and other equipment that requires removable insulation for freeze protection. Our custom-fabricated, thermal insulation Engine Exhaust Covers are designed to provide minimum heat gain in close quarters, while providing excellent personnel protection. Covers can be designed for virtually any type of engine exhaust including the manifold, turbocharger, piping, flex connectors, flanges and silencers. The typical cover has a fiberglass mat 1” thick, of 9-11 pound density; is lined with 304 stainless steel mesh; has a 30 oz. 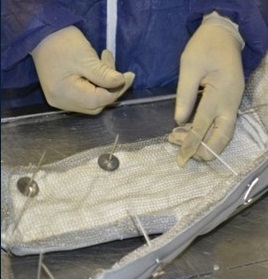 silicone impregnated fiberglass cloth weather barrier; is sewn with stainless steel thread, and secured with stainless steel lacing anchors and wire. 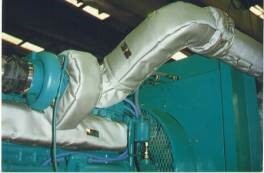 We also provide removable covers for marine, back-flow, splash guards, and other applications.